Innovative Wings Inc. Building Aircraft Dreams Since 1999! Innovative Wings Inc. has spent the last 20 years building and maintaining experimental aircraft. From consultation and planning right through to documentation, inspection and flight testing, Innovative Wings is there with you every step of the way. No job has ever been too big or too small. We are equally at home maintaining your single seat aircraft as we are building a fully pressurized turbine or jet aircraft. We are your one-stop source for experimental aircraft builder assist services. We can expertly provide for all your aircraft building and maintenance needs. Our staff are knowledgeable and experienced in the construction of experimental aircraft of every type and design. We will guide you in the right direction to build your aircraft the way you want it. Don’t know where to start? Take the time to tour our website, then contact us with any questions regarding the aircraft you are dreaming of. Builder Assist, Complete Build, and Anywhere in Between! Whether you’re building your own aircraft or want your dream aircraft professionally built for you, Innovative Wings can help. Our Calgary facility allows customers to have full access to their build. You can tackle as little or as much of your project as you feel comfortable with. Our qualified staff are available for full build and assisted builds. For customers in the US, subject to the 51% rule, WE CAN HELP! Innovative Wings is one of the world’s leading turbine conversion specialists. Over the years we have fitted turbines to a wide variety of aircraft, from Alison 250 through to high powered Walter, Garrett and PT6 conversions. Whether you’re upgrading a Turbine Legend or building a Lancair turbine, we have the in-house knowledge and track record to design, source and build your conversion. Innovative Wings has a long history with the maintenance and repair of experimental and certified aircraft. Our airframe engineers are skilled with composite, metal and wood structures. Our avionics department can fault find existing equipment and perform all system and software upgrades. Our facility also services all engine types, including turbines. Whether it’s an annual inspection or simple maintenance items, we’ll get the job done right. Are you dreaming of replacing your old steam gauges with a full glass panel? Or maybe you’re looking to fill one of your six pack slots with a drop-in digital EFIS. With an in-house avionics lab and relationships with leading experimental and certified avionics manufacturers, we can handle any avionics or electrical projects you have in mind. Working alongside our structures team, we can also handle airframe electronics and cabin pressurization projects. As Canada’s top Turbine builder, Innovative Wings was the host to Wings Over Canada’s Turbine Edition. During the program, Wings Over Canada sampled many of the turbine aircraft built by Innovative Wings including the 400+Kt Garrett Legend! Innovative Wings was featured in Aviator Magazine’s ‘Kitplane Contractors’ article. The article highlights the cost benefits of experimental aircraft built by Innovative Wings and the technology available to uncertified aircraft. The Calgary Herald interviewed Innovative Wings and Garrett Legend owner Marty Abbott in an article investigating the surge in home built aircraft, and in particular the high performance turbine aircraft emerging from Innovative Wings’ Springbank hangar. During the 2010 Air Venture Cup, the Turbine Legend (Garrett Edition) built by Innovative Wings decimated the competition, finishing 100Kts faster than the closest competitor! In 2017, Innovative Wings won its class at the Air Venture Cup, flying a Lancair built in collaboration with our friends at Advanced Composite Structures! To name a few, Innovative Wings built the World’s Fastest Single Engine Turboprop Aircraft (experimental or otherwise). 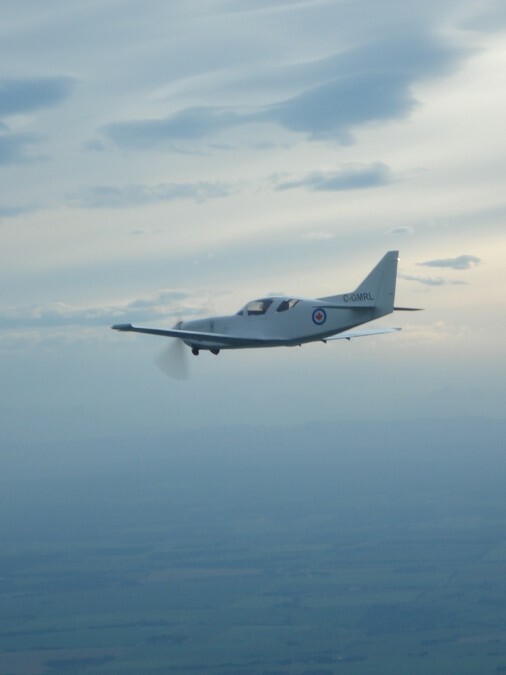 We built the world’s only turbine Glasair Super2-S as well as the only Canadian Garrett powered Lancair IV-PT.